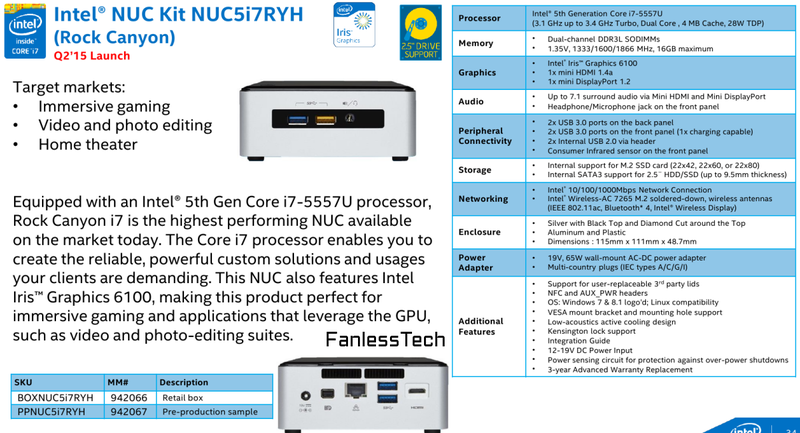 Great news for gamers and SFF lovers : Intel's highly anticipated i7 Broadwell NUC will make a seriously capable gaming box thanks to the powerful Iris Graphics 6100. 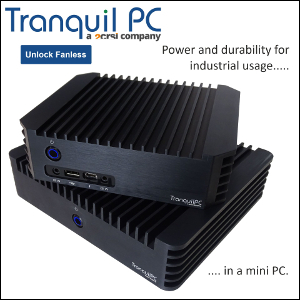 The NUC5i7RYH will feature an i7-5557U, dual-channel 1.35V DDR3L SODIMMs (1333/1600/1866 MHz, up to 16GB) one mini HDMI 1.4a, one mini DisplayPort 1.2 and four USB 3.0 ports (one charging capable). 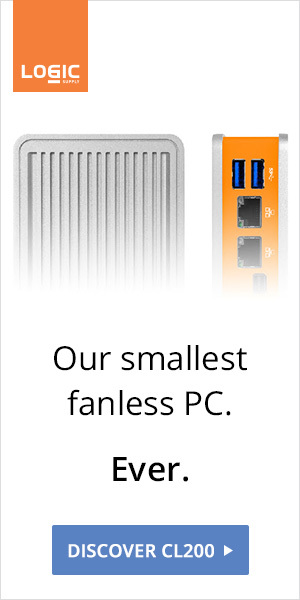 The 28W TDP is much higher than the regular 15W and most fanless aftermarket NUC cases will not handle it. We're hearing that at least one supercase is in the works though. 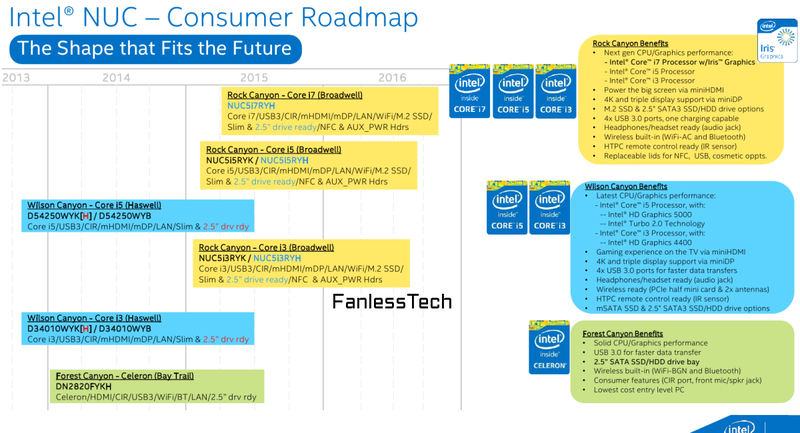 Update: Scott Wasson from The Tech Report just confirmed the i7 / Iris Graphics NUC is coming next month.